Welcome to PrimeTech Hosting Website! Web Hosting Starting at $7.95. Game servers $49.99 an up free web hosting. Just pay for your domain. 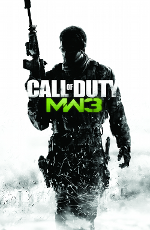 Now Hosting COD MW3 Servers! No Setup Fee! Teamspeak Hosting - Starting at $5.00! Host from $85/month - view details! Host from $100/month - view details!